Home > Media > Blog > Get Involved With The European Cohousing Open Days – May 2017! Get Involved With The European Cohousing Open Days – May 2017! 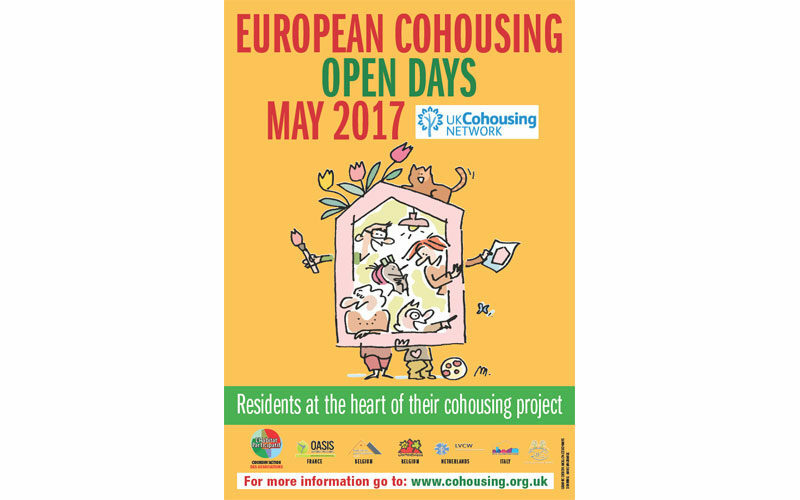 The UK Cohousing Network has again been invited to join in the European Cohousing Open Days in May 2017 with our partner organisations in France, Belgium, Italy and the Netherlands. This is an opportunity for existing Cohousing communities to coordinate how they bring their vision and experiences to a wider audience and show the benefits of living in Cohousing. Participating groups may have an open day on single or perhaps multiple days in May, to open their doors for would-be Cohousers and interested parties to see Cohousing in action. Groups may use this flyer to advertise their events which can also be posted on the UKCN web events page. Being part of the EC Open Day, is a reminder of the international dimension of our movement. We clearly share many of the same goals with our European neighbours for closer, more engaged and happier communities. We hope you will take the opportunity to participate and promote Cohousing in the UK. Cannock Mill Cohousing – build go-ahead at last!